Our old, wooden pepper grinder was essentially reduced to quartering peppercorns, rather than grinding them, so a new and younger replacement was long overdue. 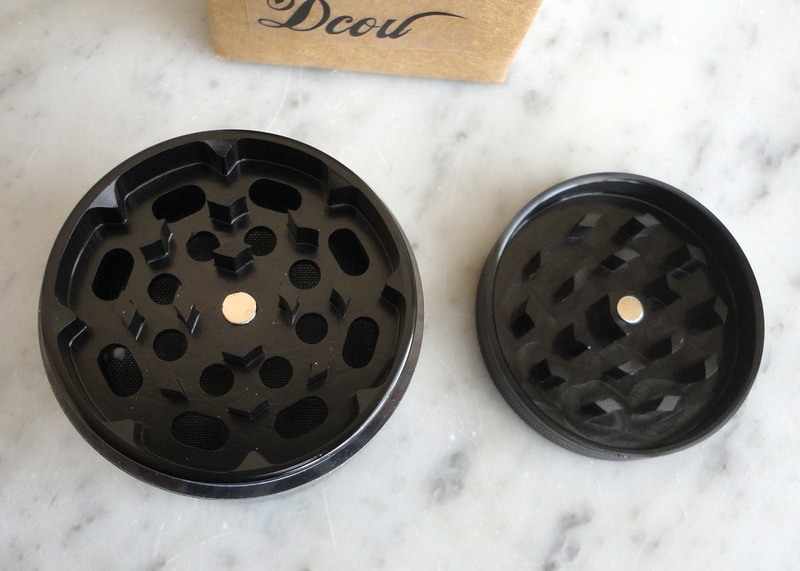 This smart-looking (and much smaller) design offers a very long-lasting ceramic grinding mechanism, together with the convenience of having a double reservoir. 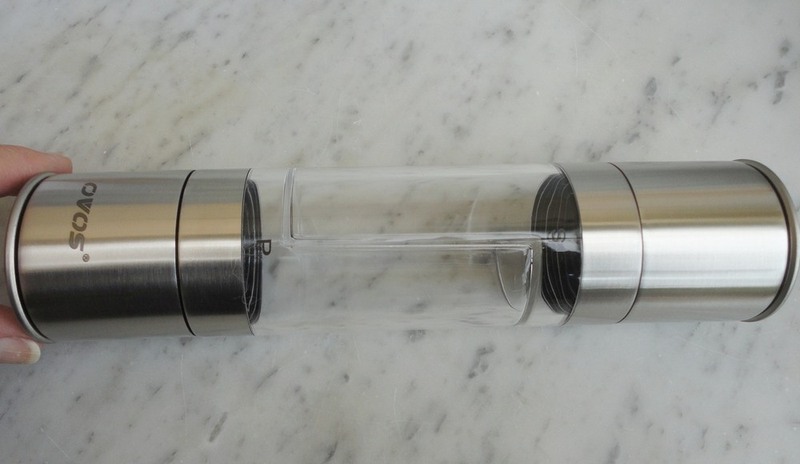 It is an attractive object, made of an acrylic see-through material with stainless steel accents. When I first looked at the photos, I wasn't quite sure whether the contents would come out separately or mixed together. 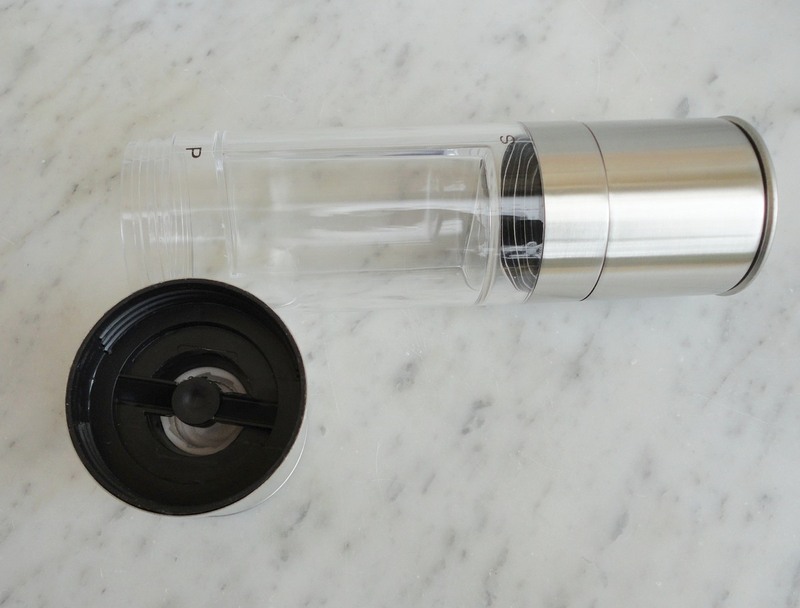 Now that I have the item in operation in my kitchen, I can confirm that the Ovos grinder operates as two separate units, joined in the middle for convenience and space-saving purposes. 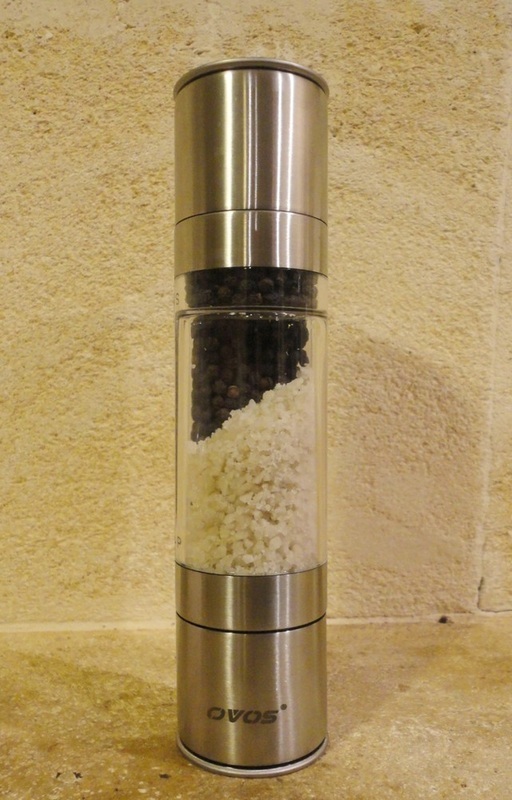 We have initially filled one side with rough sea salt, and the other with ordinary black peppercorns, but one can use any combination of suitable spices. To use, you remove the stopper on the desired side, flip the grinder so that side points downwards, and rotate the middle joint to grind the contents. At each end, there is a grind regulator which can be set as required, so that everyone gets what they prefer, fine or less fine. 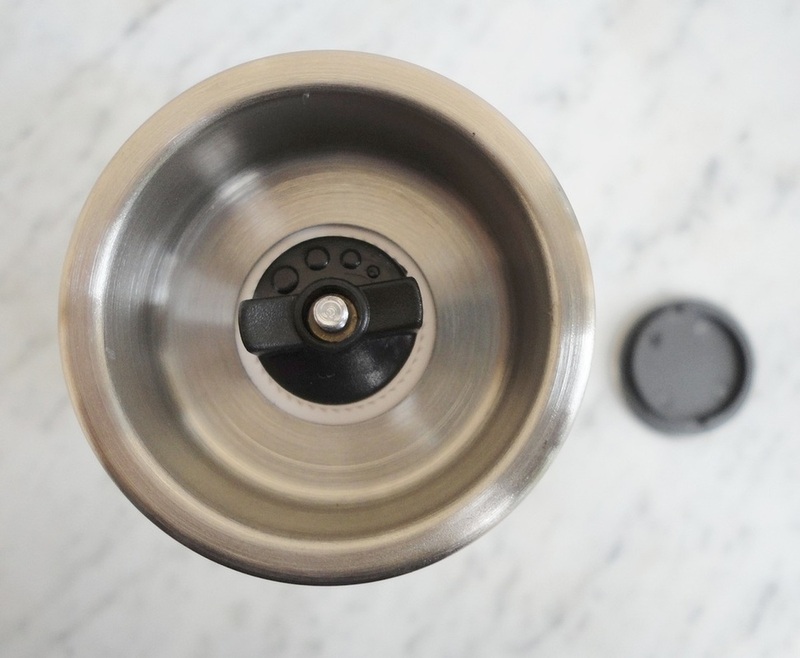 Once initiated, the grinding action is very smooth and I love the fact that it's a crumb-free object, because each end is sealed by its own sealing disk. Pretty and practical. 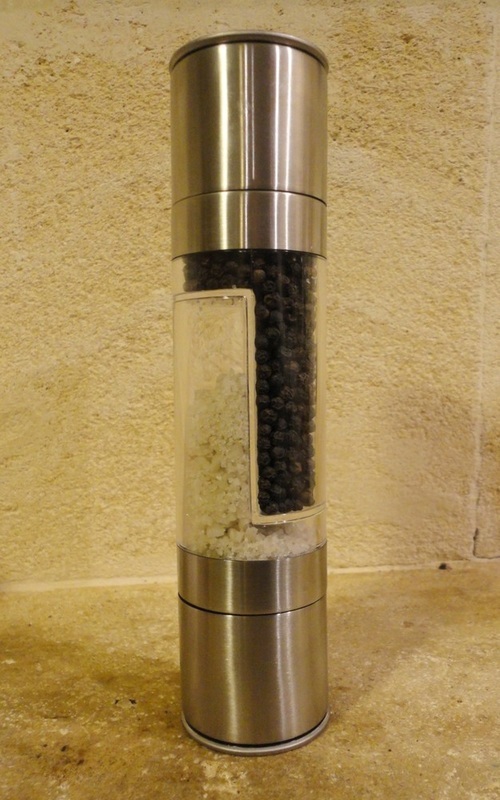 A very portable small grinder, good for spices like aniseed where the hard stems and woody portions generally get in the way of the flavour. 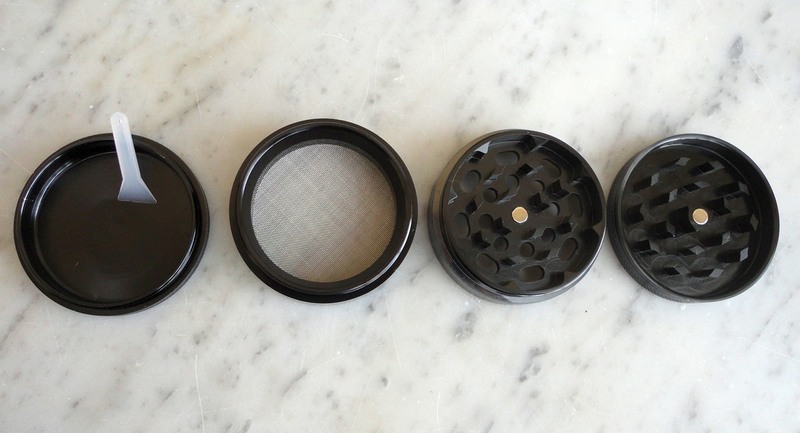 The grinder is quite tiny (it fits in the palm of my hand) and comes apart in four pieces. Above the bottom collecting chamber is a very fine mesh, and above that are two sets of interlocking teeth, featuring very sharp edges. 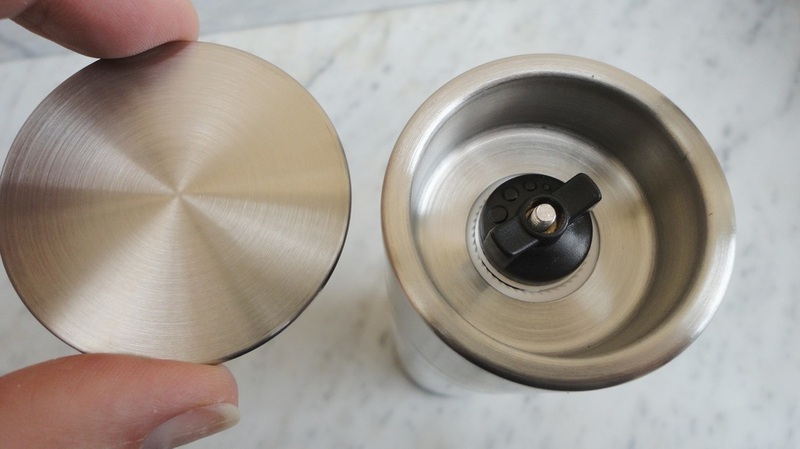 The lid is magnetized and stays well attached to the other grinding layer. The holes that allow the ground mixture to drop down over the mesh are fairly large, so you might want to adapt your technique, depending on what you are grinding. If you want reasonably big chunks (e.g. pieces of ginger, mint or basil), just go ahead and grind in the usual way; but if you are dealing with something like fennel seeds, you can try doing the initial grinding upside down, so the small pieces have a chance to get pulverized before falling down over the mesh. The makers state that each layer is machined in one piece (so the teeth are an integral part of the grinding layers, not stuck on) and the material is aircraft-grade aluminium. I imagine that means that it's tough and resilient. 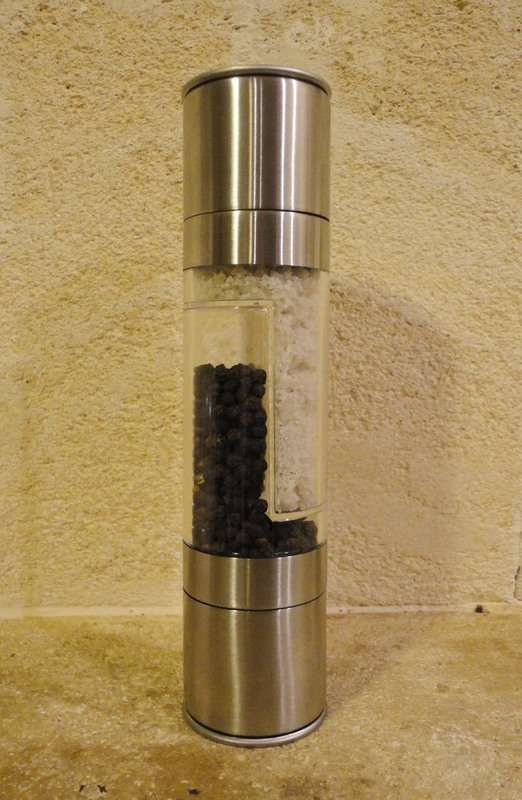 We find it particularly useful for fresh herbs, and much faster to use than chopping them with a knife. However, it does not impress when using fresh rosemary, for example, which is hardly processed at all. 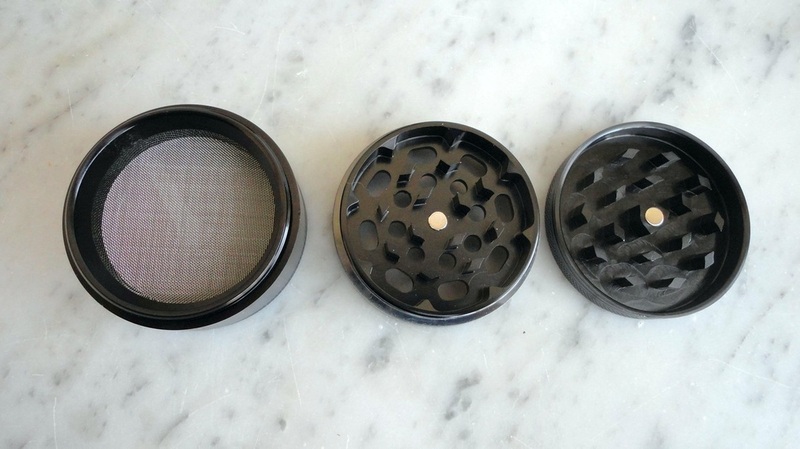 A tiny plastic scraper is also included, which will not damage the mesh. Easy to wash under the tap. 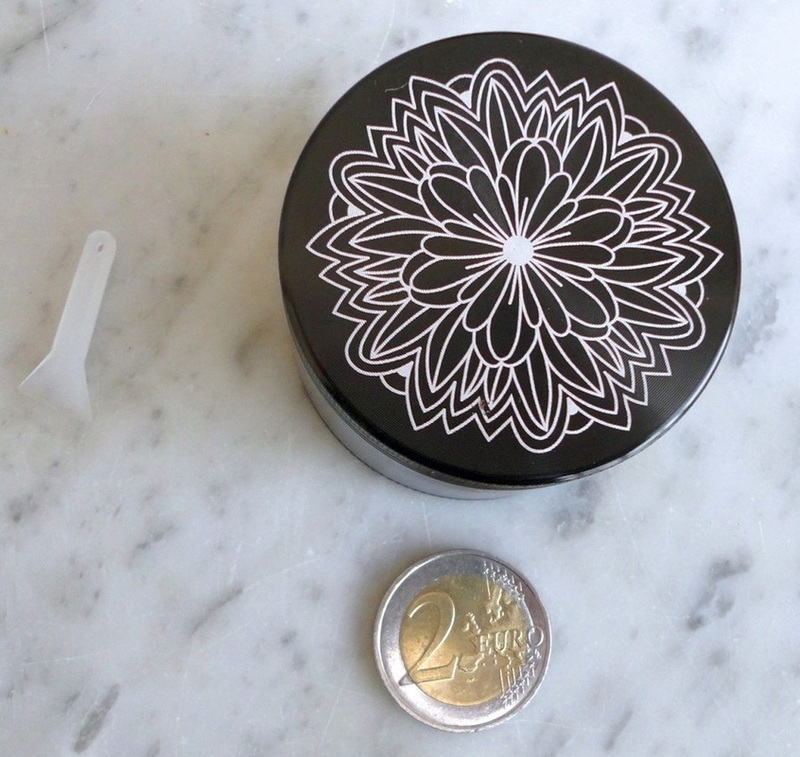 A pretty object, too, with a flower design etched in the lid.